Here are the first 21 slides from the Opening Lesson. The rest are available on my web site as a PowerPoint Show. 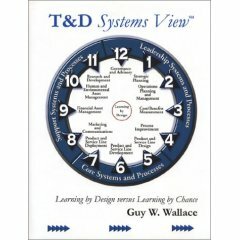 My pursuit of Performance Improvement in the ISD world extends to the ISD “organization” itself and was addressed in my book: T&D Systems View – where the label “T&D” is the equivalent of Training & Development, Learning, Knowledge Management – or any other set of labels put onto the organizational entities that are on the payroll to help the workforce and leadership attain PERFORMANCE COMPETENCE. The Government Stakeholder’s Requirements (think: laws/regulations/codes/contracts/union agreements/etc.) that always win all conflicts (eventually). Wins all ties, too. Ties go to the runner? No. Ties go to the Umpire. Shareholders/Owners are next. 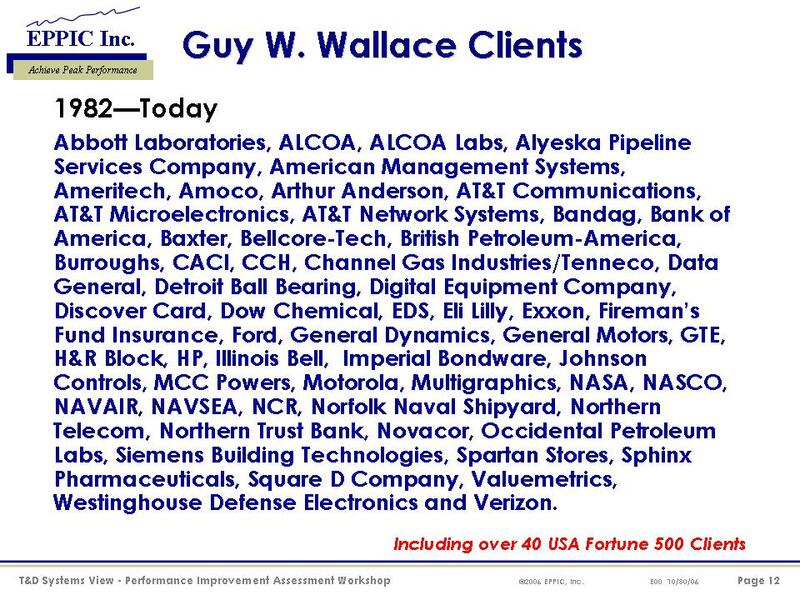 If meeting the Customer Requirements would bankrupt the Enterprise, who believes that the owners would be OK with that? 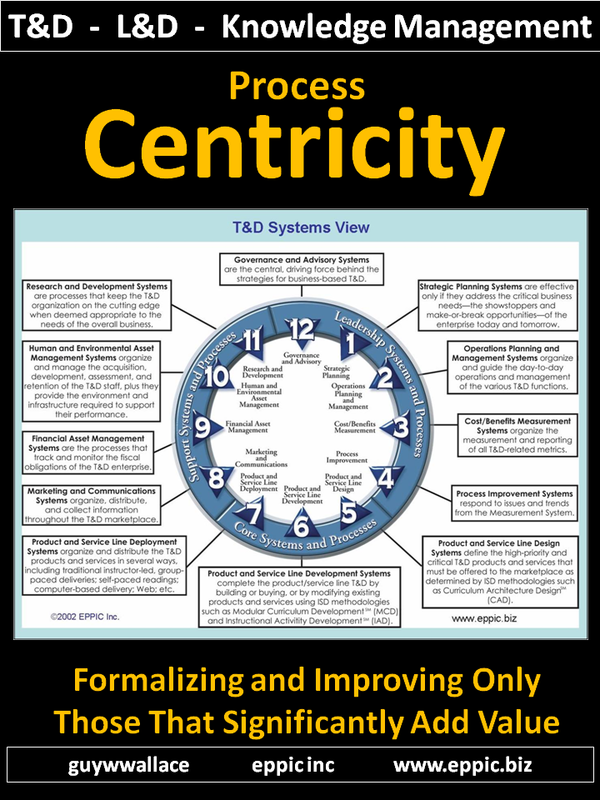 But squaring ISD away won’t happen just because you’ve embraced a great ISD methodology-set, or that you’ve successfully segued to Performance from Instruction. It will be because you’ve got enough of a loose-tight handle on all of the moving parts. 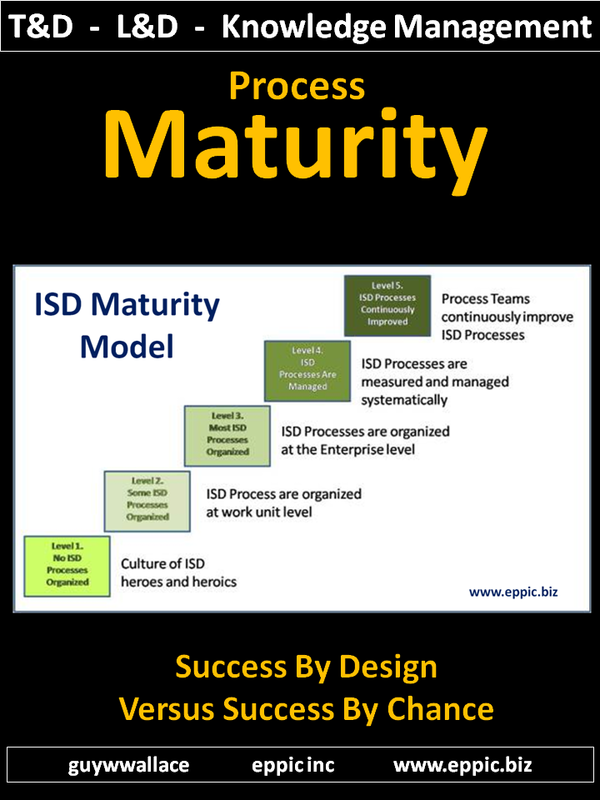 As in all of the “processes” required to run ISD like a business. 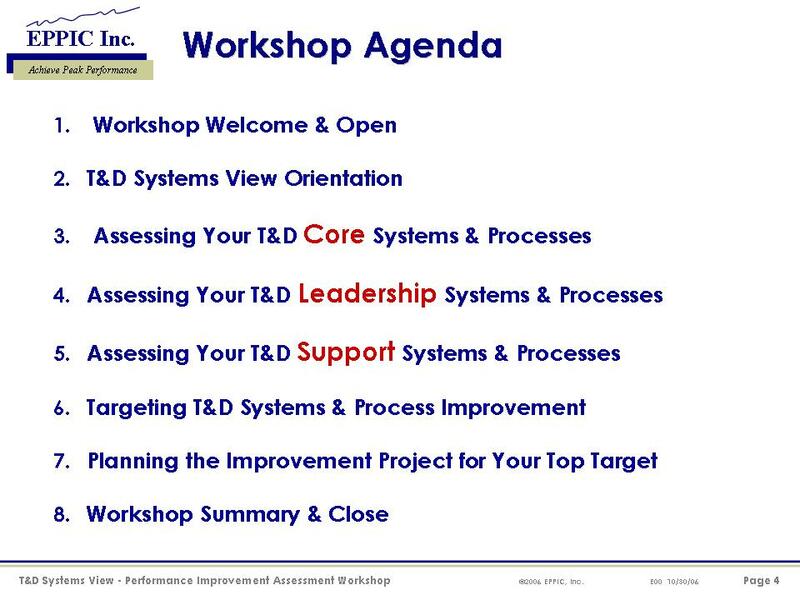 The book T&D Systems View has a companion piece – my client workshop, which I have decided to make the “slides” available to the ISD public for free – as long as no one else makes any extra $$$ off of it. More on that later. 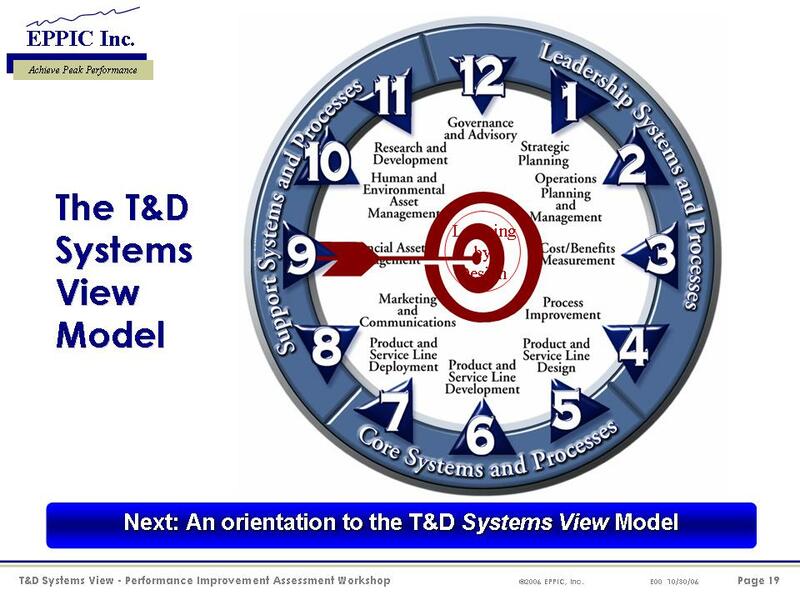 The T&D Systems View Performance Improvement Assessment Workshop is intended to systematically examine the T&D/ Learning/ Knowledge Management organization systemically – by assessing the adequacy of 47 processes organized into 12 systems of the T&D systems – which of course if part of the Enterprise system – inside a marketplace system or systems – in our global world – inside the big system of the known and unknown Universe. I developed this 5-day version for a delivery in Russia last year that didn’t happen. You might be able to get through it in 2 or 3 days. I was expecting there to be “language” issues during delivery and was trying to keep the pace slower than my normal top-end speed. The 10 am start time and 6 pm ending time reflects my potential client’s needs and desires. Adapt – don’t adopt – unless THAT does makes sense. 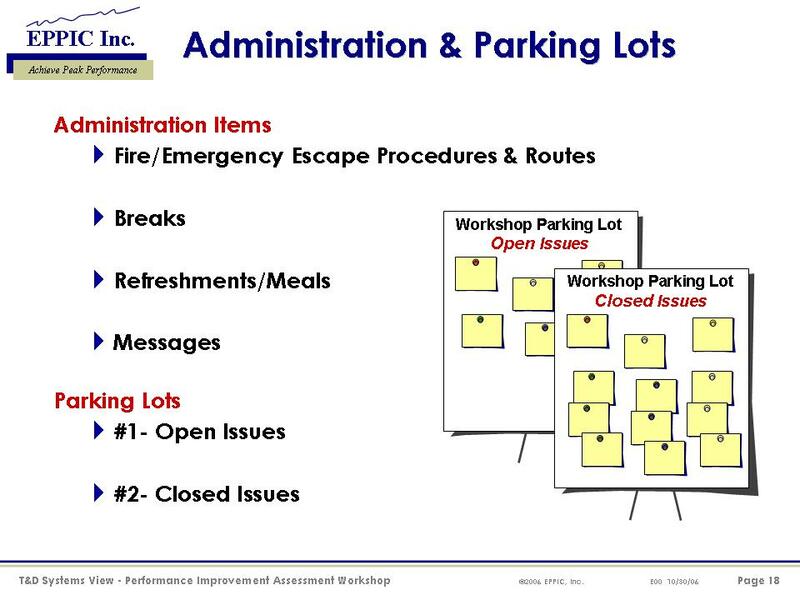 The workshop PowerPoint Show has 373 slides, and many building graphics/text that will give you carpel tunnel after clicking through the entire PPS. So be careful! And it is an 80 MB file – that is available on my web site at http://www.eppic.biz/. 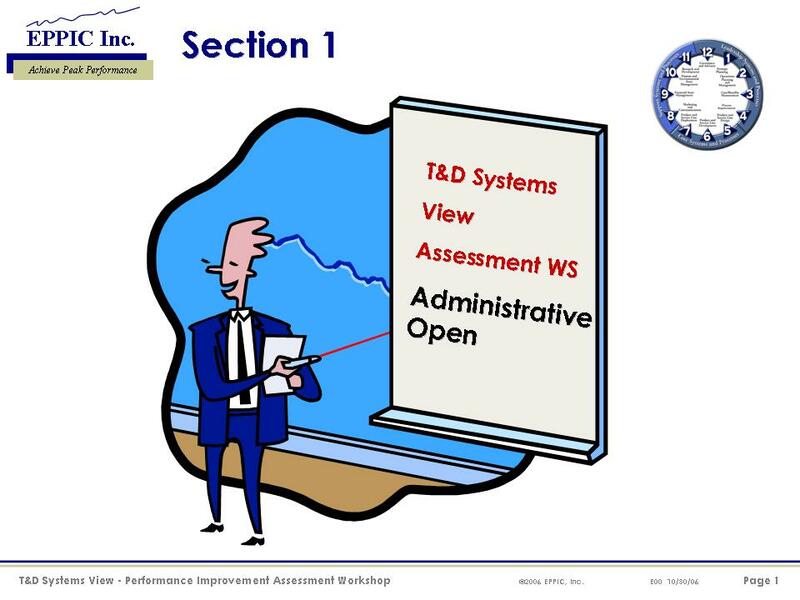 Note: It has been updated as of 7 pm east coast time on 8-31-07 to an older version of PowerPoint that will be more accessible. You can get a free PowerPoint Viewer from MicroSoft to view the PowerPoint Show if you don’t have PowerPoint. 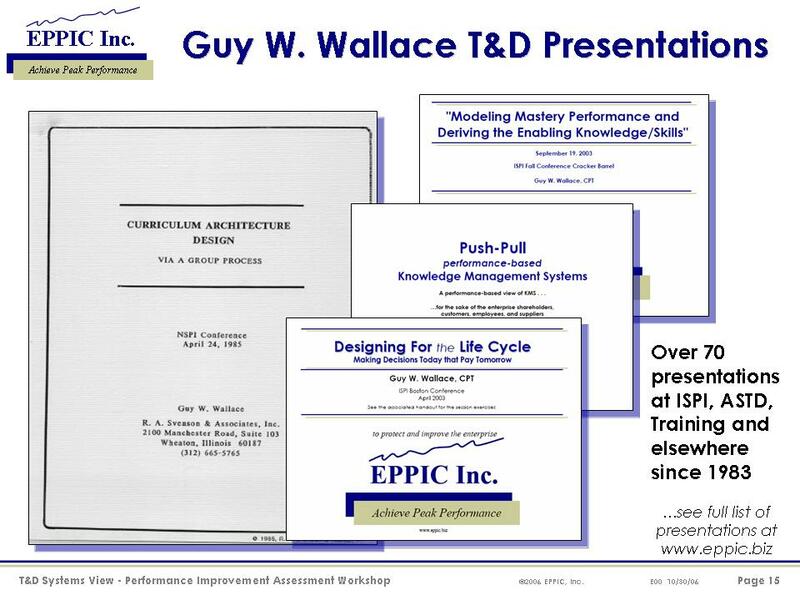 But first, at www.eppic.biz click on the Free Book link for the T&D Systems View book and that will take you to the page where you can download that file of the workshop slides – as well the book! 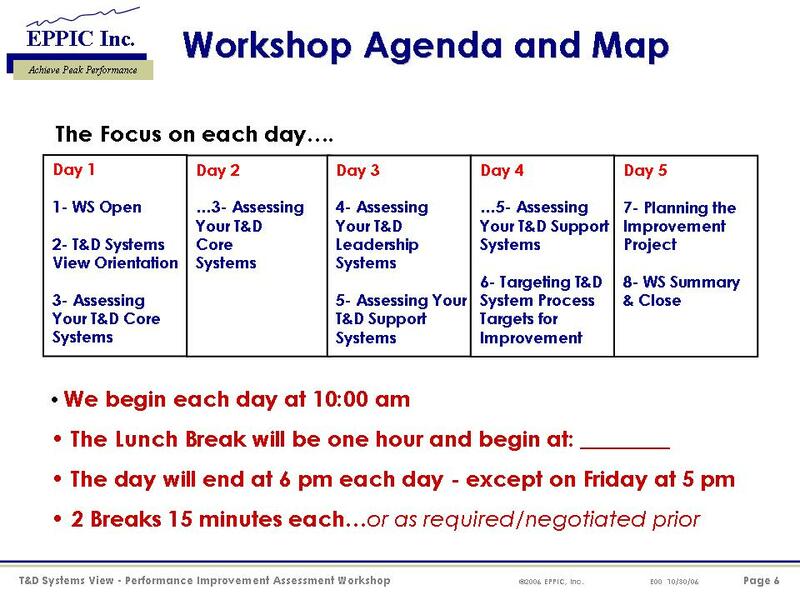 You can break the WS into many different segments/configurations for your delivery situation and constraints: Five 1 day sessions (or three 1 day sessions at a faster pace than Guy in Russia), etc. 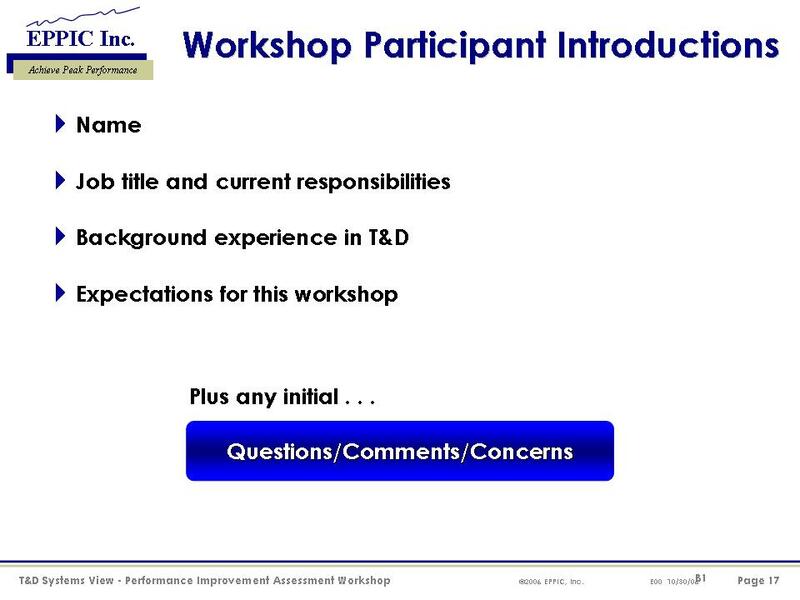 Or take your ISD staff through the first part up to the Quick Assessment and then use the Assessment Tool in Chapter 5 of the book. And then stop. Whatever fits your needs and constraints. Of course I am available to deliver it to your target audiences. For a fee. Or you can DIY – Do-It-Yourself. 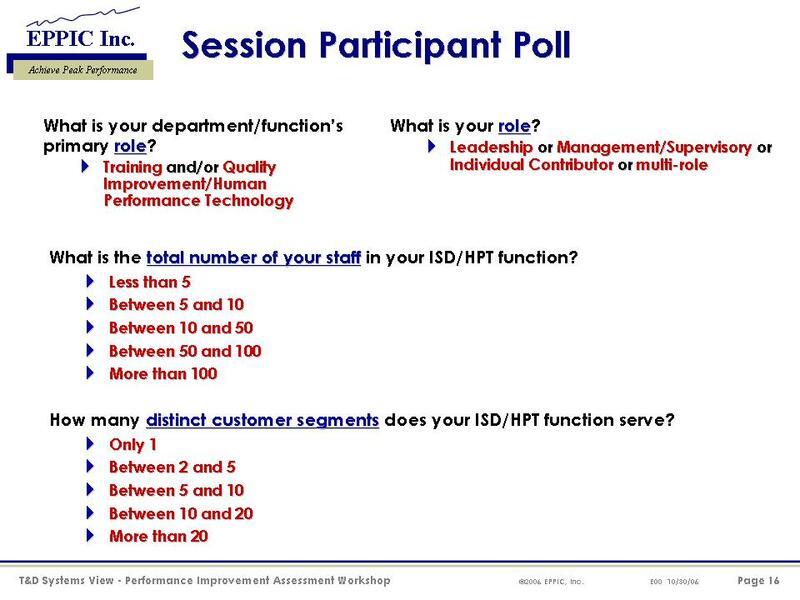 I intended this free version for ISPI and ASTD Chapter use (I am a member in those two groups) as well as all of the other ISD-oriented affiliations, SALT/ Professional Society for Sales & Marketing Training, Association for Educational Communications and Technology, ISA, etc. Or for companies and governmental agencies to deliver to themselves. Or you can hire someone external to facilitate (Me, for example) at their normal daily rate – and they are not to charge you for “anything beyond” their time. Certainly not for use of “my copyrighted materials” – all rights reserved. 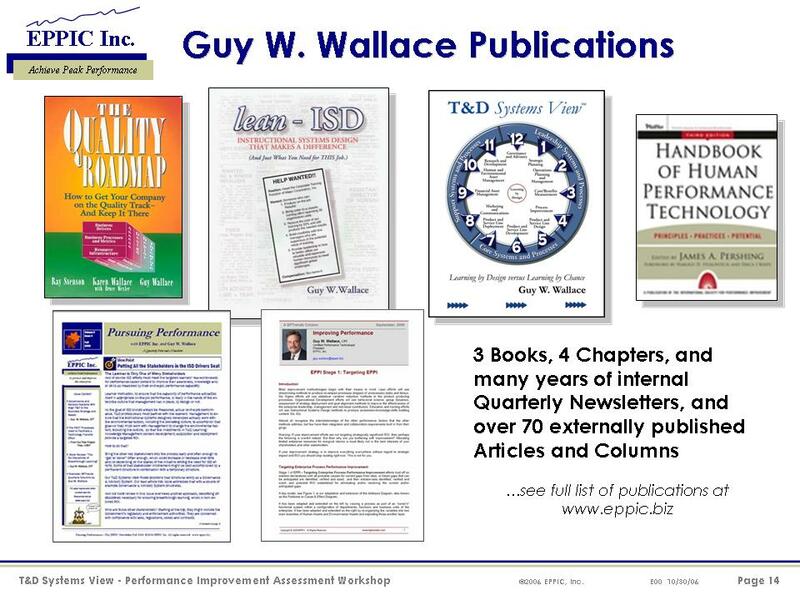 The handouts (if needed) and Quick Assessment Guide (if needed) and the Detailed Assessment Guide (if needed) and the Improvement Planning Guide (if needed) – will need to be purchased from me. Email me with your quanity counts. They are 11″ x 17″ folded booklets, colorful, stapled documents that you may or may not need/want – or can afford. Whatever. 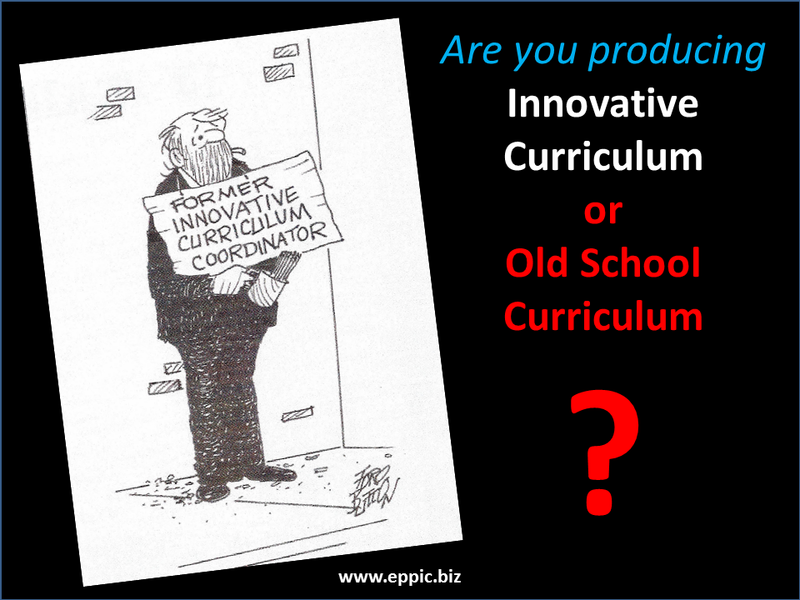 There is enough in the workshop PowerPoint Show AND in the book for any creative ISD group to “make their own versions” of these support materials themselves – and probably be just fine with it. The point? 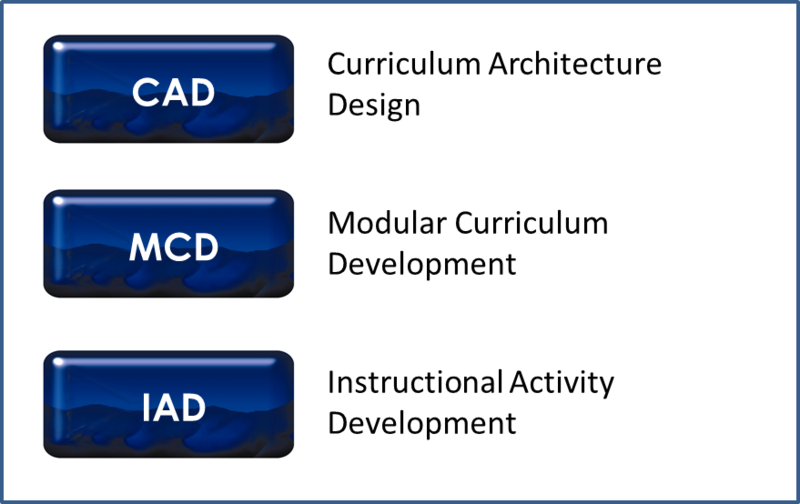 It’s more than ADDIE, or rapid e-learning, or your LMS/LCMS, or your thousands of Instructional Modules…much more. Then if these following Learning Objectives don’t sync with/support the Performance Context explicitly/logically…then you will be in “big need” to sell, sell, sell participation because the learners in their seats or sites won’t see the connection…because “learners are smart” – there isn’t one – and they know that you are about to waste their time – big time. I hate when that happens. 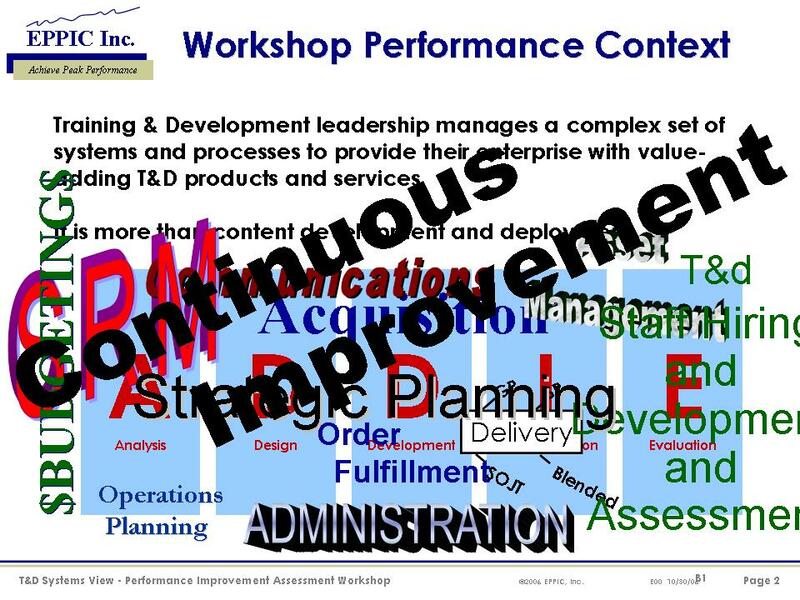 But it has never happened to me because I have always (since 1979) had a consensus Performance Model constructed with Master Performers’ inputs and involvements – and I know I know the Performance Context – before I did a “design” leading to “development” and possible “pilot-testing” prior to release to the Deployment mechanisms. So creating Learning Objectives for me has never been a process of “making them up, pulling them from thin air” kind-of-an-approach. Never. 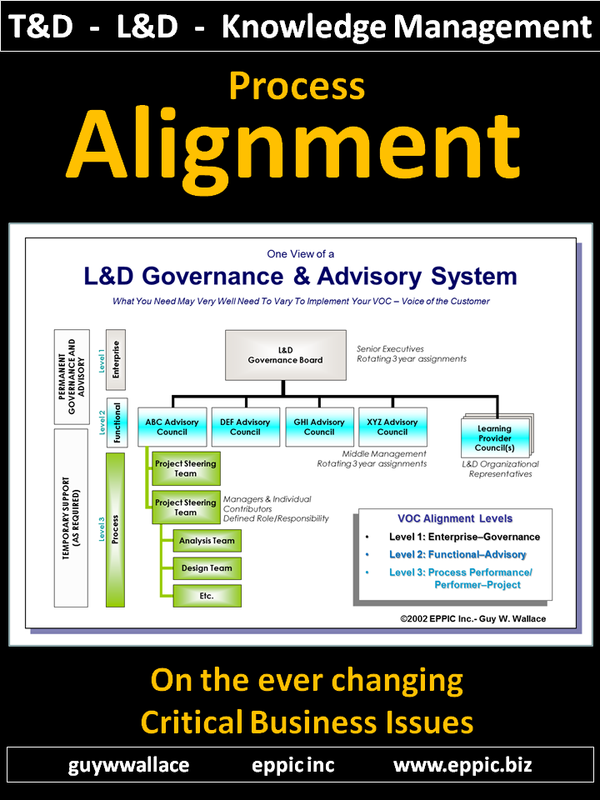 And if the Performance Context is right-on, and the Learning Objectives are right-on, then the design of the WS/e-learning, S-OJT, whatever, is logical. Again, you might get this done quicker than the 5 days. 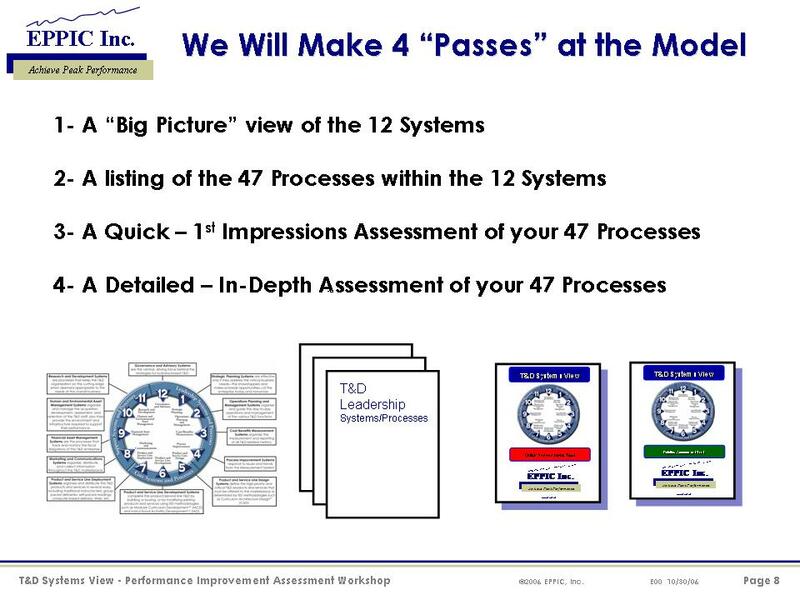 Here the icon is the clockface, a different view from the L-C-S Framework used in the Management Areas of Performance book. 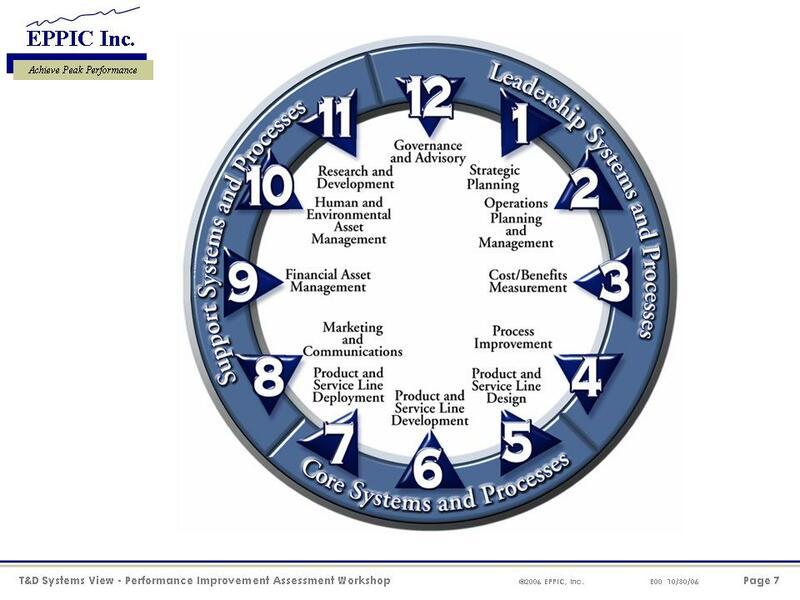 I see now that the slide above is missing the book that I published (straight to PDF) this spring: Management Areas of Performance. 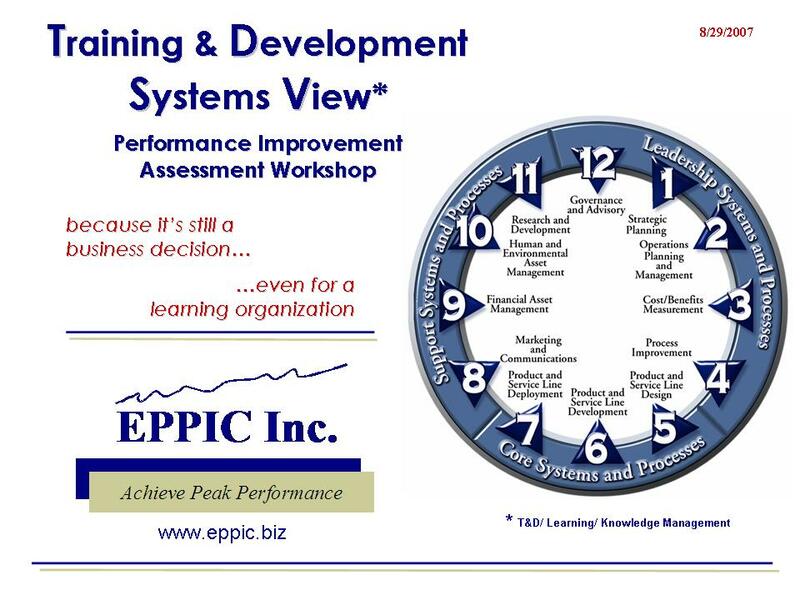 And it will be missing the book former business partner Ray Svenson and I are finishing up in the next month or two on: Performance-based Employee Qualification/Certification Systems. That was about me. Done quickly. Modeling behavior. 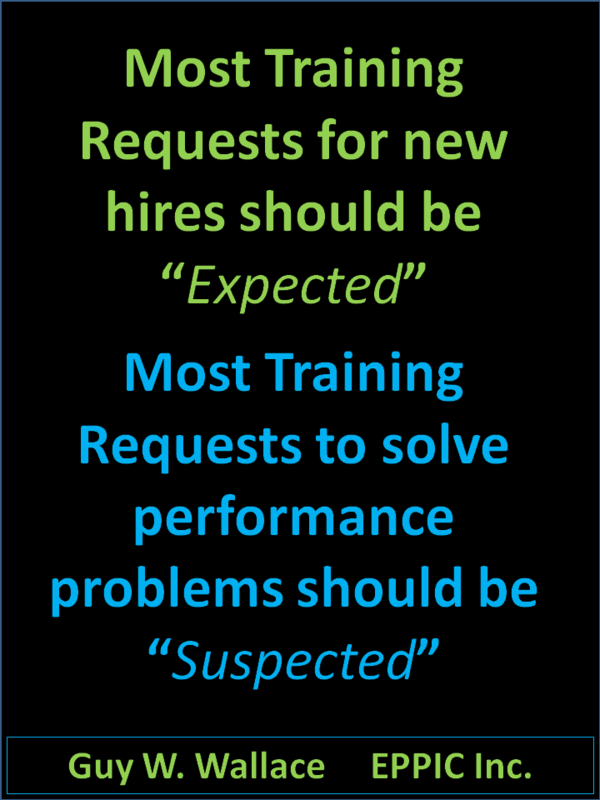 So that I could next spend more time on warming up each of the Participants…starting with the following slide – as appropriate – especially when everyone might be from multiple organizations and not know each other. I am beginning the “conditioning process” to get them used to responding, and/or assessing their discomfort. And determining who can I first pick on that can probably handle it? Hmmm? Everyone can quickly, easily see “who might have the same kinds of context and issues” as me! And see the diversity of the group, or not. 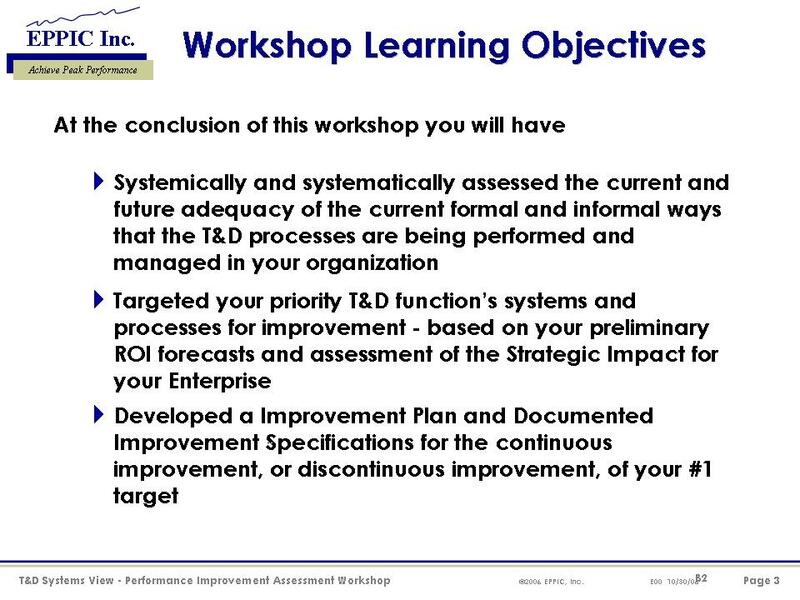 Then a slide for the transition to Lesson #2. “Whether you are new in the training business or an ‘old hand,’ this book will provide you with as much guidance as you need to get the job done. 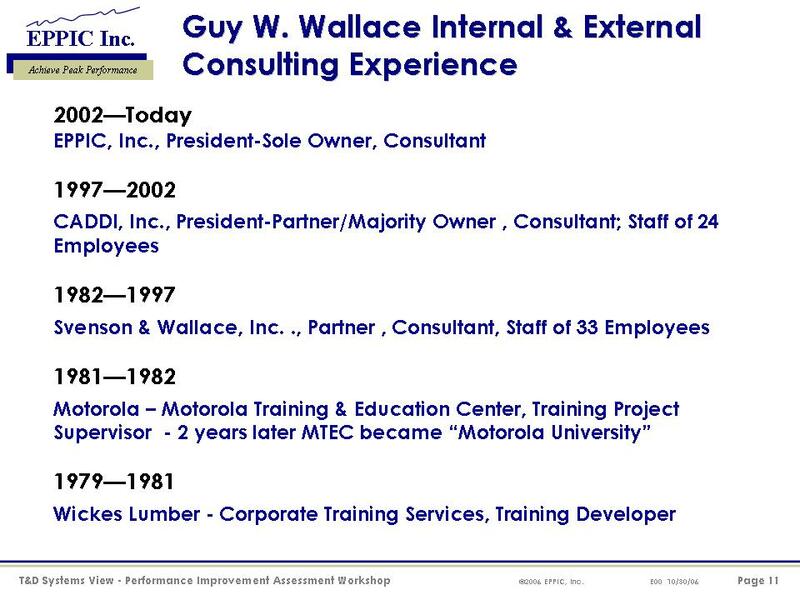 Guy has provided material that leaves ‘no stone unturned,’ yet there is sufficient flexibility for application in all training organizations. Well thought out. 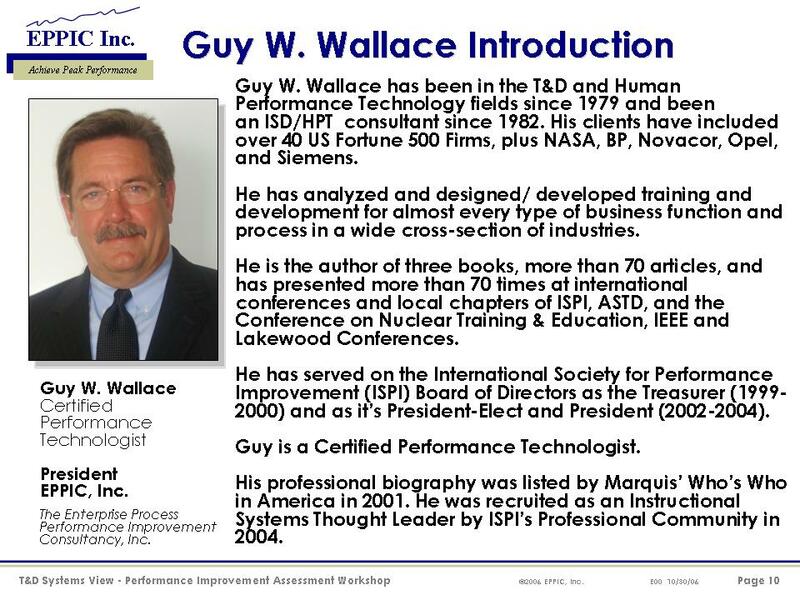 “Guy Wallace has done it again! 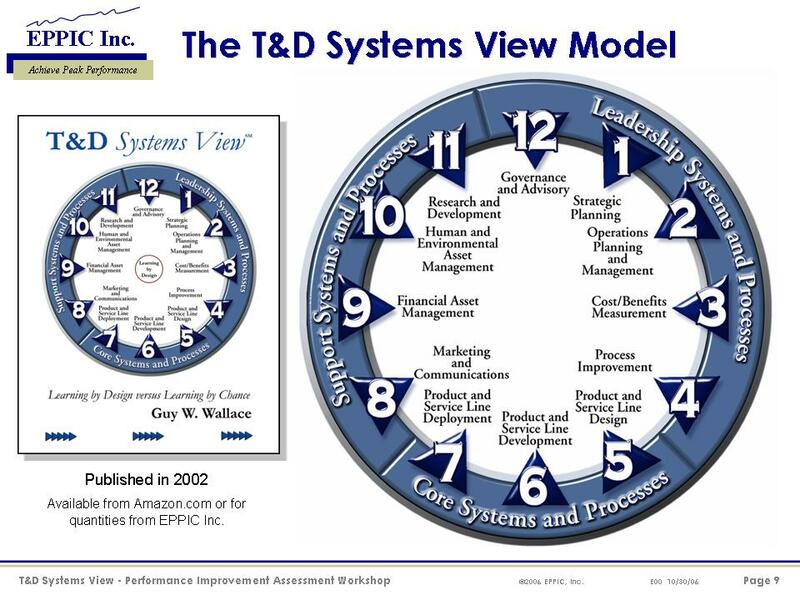 After demystifying the ISD process in his lean-ISDSM book, he tackles the corporate training and development system and puts it in a business-focused perspective. 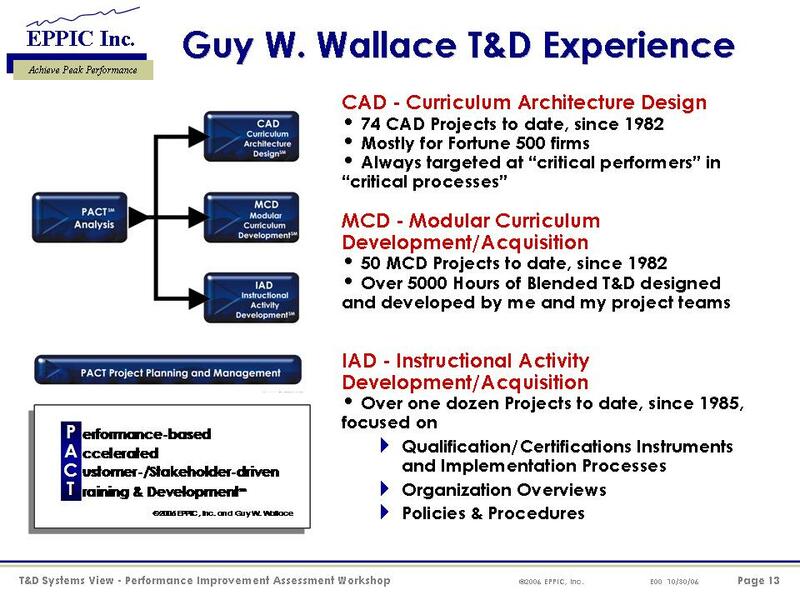 Whether you are in-house or serving as an external consultant, you will find Guy’s model an invaluable tool for enterprise training and development. 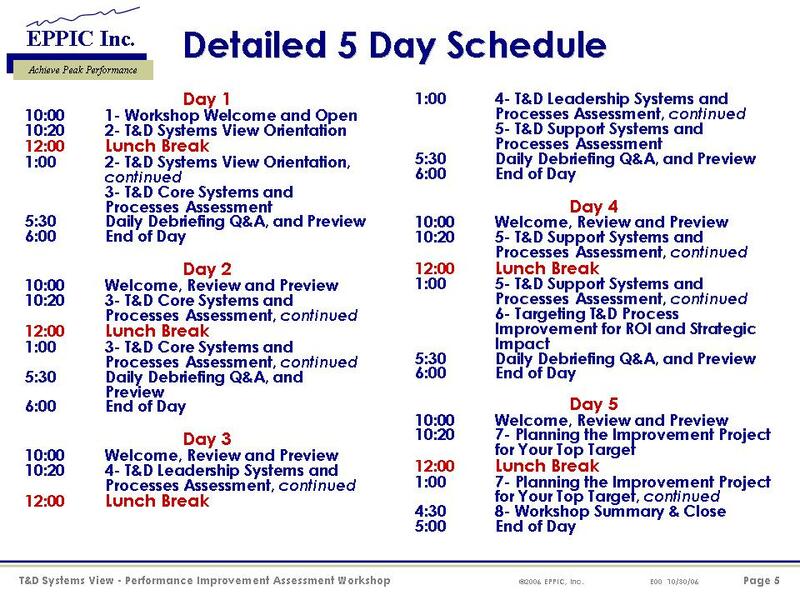 This analytic and design process ensures that you dot all the i’s and cross all the t’s when moving your company or client to Learning by Design, not Learning by Chance. The elegant clockface model helps you develop a clear picture of any organization and clearly helps you map out how best to effectively manage all the elements of the enterprise. 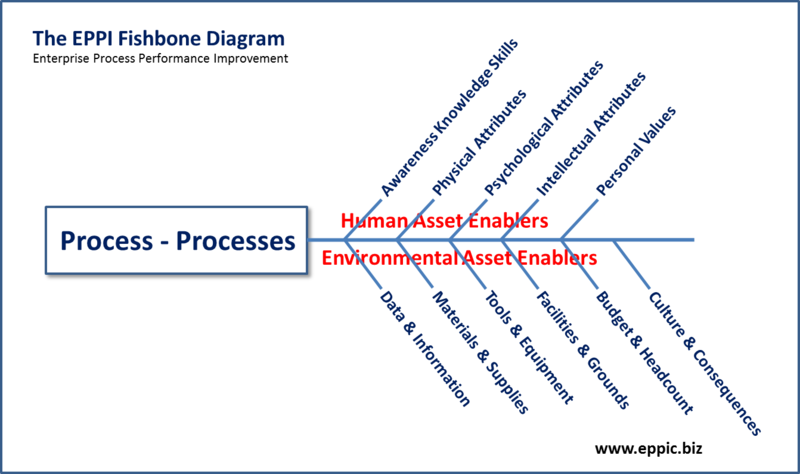 Once the elements are mapped out, the model, through enclosed assessment and prioritizing tools, helps determine where and when to put corporate assets to maximize corporate return on investment.